Philippines - The two most watched cartoons of the 90's are coming back on national television. ABS-CBN announced the return of Sarah, ang Munting Prinsesa and Marcelino Pan Y Vino. When I was in junior high school, before I go to school, I make sure that I monitored the Princess Sarah series, as well as to Marcelino Pan Y Vino. I really love the two cartoons because of the moral lessons and sometimes I can relate to it. 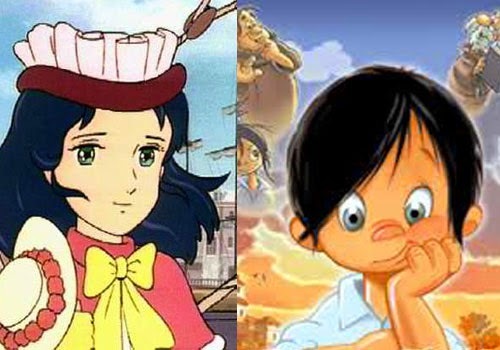 According to Kapamilya network, the Japanese anime series Princess Sarah was based on the Frances Hodgson Burnett's novel, A Little Princess. And it was first shown in 1985. The local film maker was also inspired to create a movie of the same title in 1995, starring Camille Prats as Sarah Crewe and Angelica Panganiban as Becky. This past few weeks, Princess Sarah memes using scenes from the series was gaining popularity online. Many netizens are making fun for every scenes posted on the wall of Facebook and Twitter. Aside from Princess Sarah, Marcelino Pan Y Vino is the story about the orphan boy raised by monks. It also have an inspired TV series titled "May Bukas Pa," the young actor Zaijan Jaranilla portrayed like Marcelino. "Sarah, ang Munting Prinsesa," and "Marcelino Pan Y Vino" will be seen again on television on October 13, ABS-CBN News said. For more information about Princess Sarah and Marcelino, kindly bookmark this page and share to your joined social networking sites. Comments or suggestions about "Princess Sarah and Marcelino to return on ABS-CBN" is important to us, you may share it by using the comment box below.